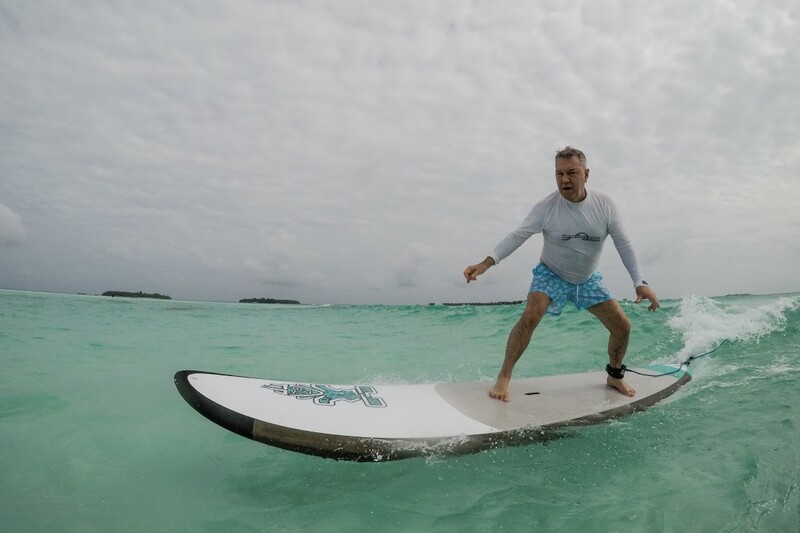 Jimmy Barnes Raised the Bar at “Surf Music In Paradise” at Kandooma Resort in the Maldives! Words By Ben Horvath. 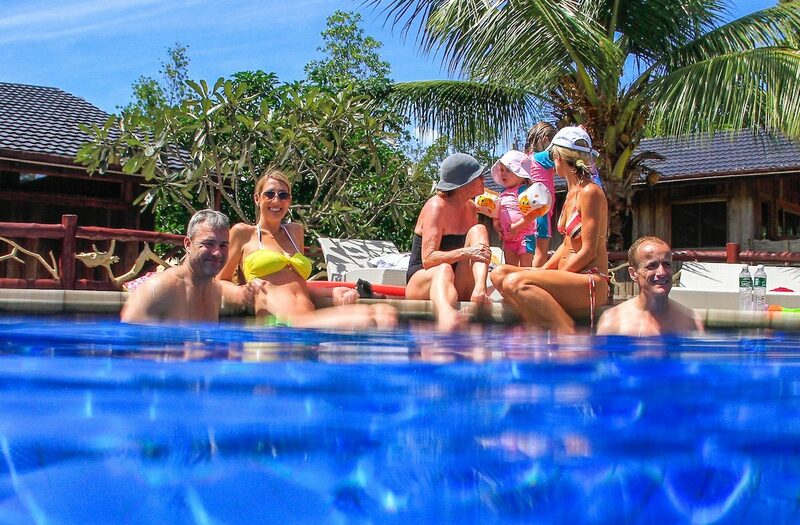 All photos by Andy Potts. 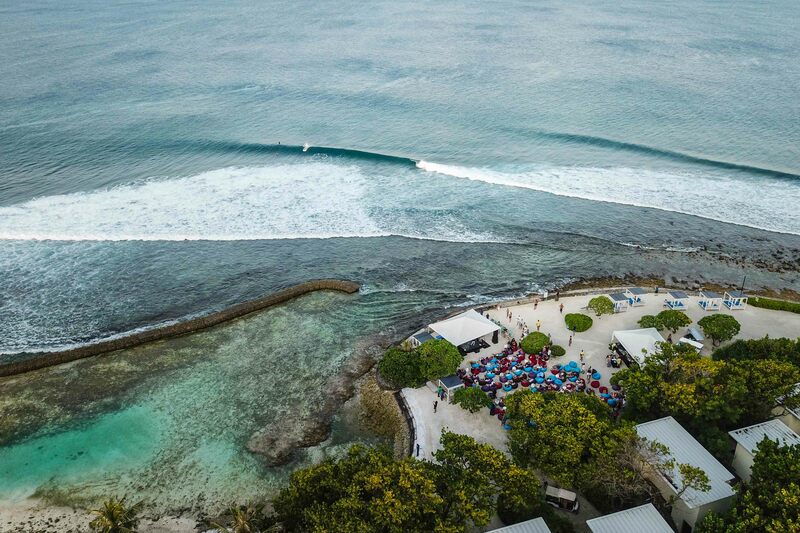 Surf Music in Paradise was a dream conjured up in tandem by The Perfect Wave’s Global Marketing Manager Ben Horvath and TPW’s CEO Jamie Gray almost 5 years ago. 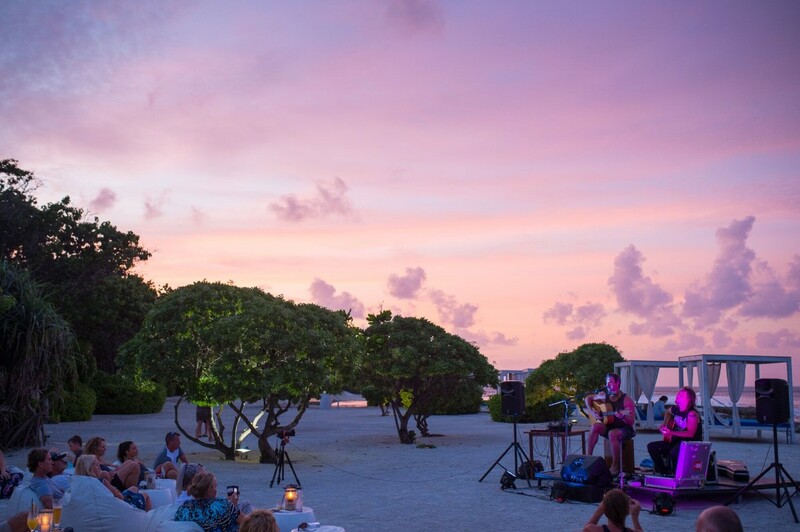 Ben and Jamie first approached Californian singer/songwriter and world-renowned surfer Donavon Frankenreiter on his 2013 Corona Extra Australian tour with the idea, inviting Don and his family to come to Kandooma Resort in the Maldives and play 3 intimate shows for limited numbers in the picturesque setting. 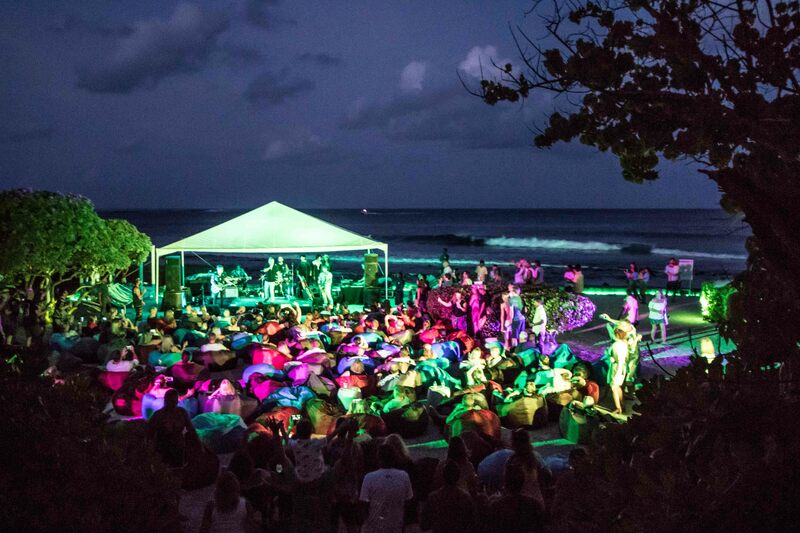 Donavon embraced the idea, and “Surf Music In Paradise” kicked off with Donavon playing 3 amazing sets and surfing his brains out in a memorable week back in winter 2014. 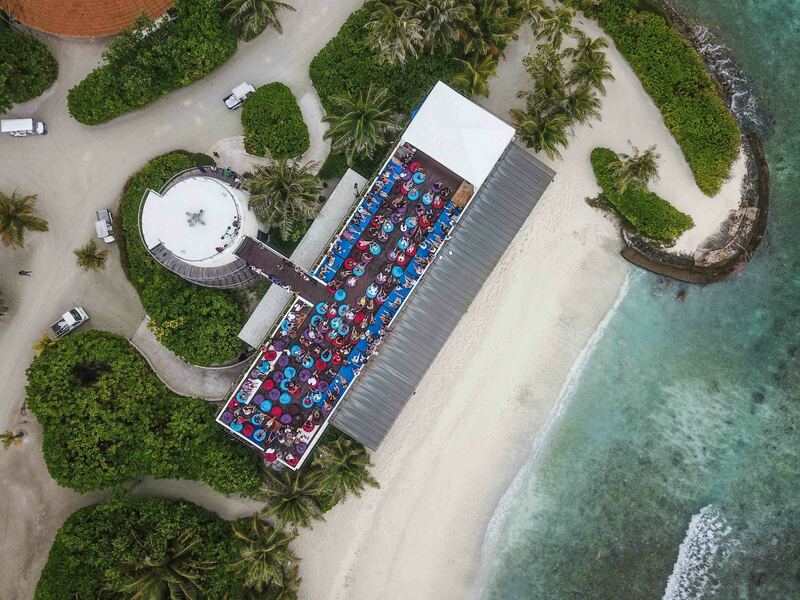 The concept was a unique offering whereby fans could enjoy surfing some highly rippable waves in the Maldives by day, and as the sun sets invited musical legends would perform live on the beach with the surf in the background. 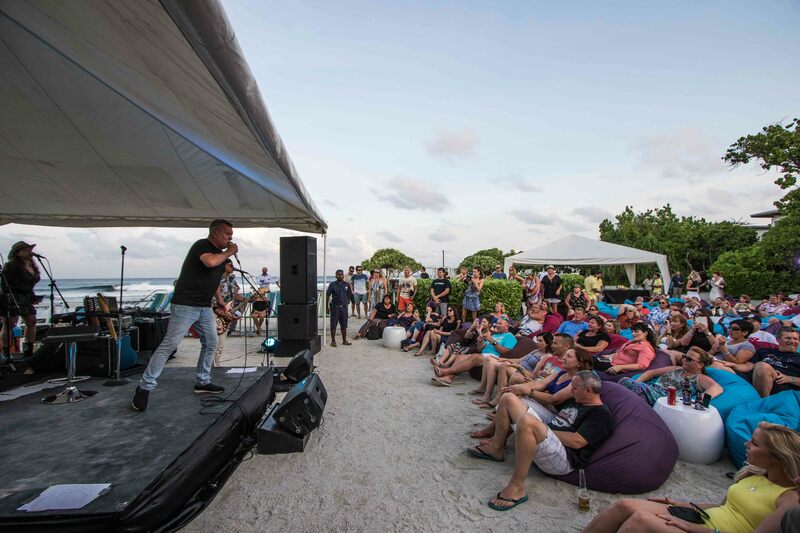 The plan being that the intimate gigs would guarantee that The Perfect Wave guests who travelled could enjoy direct interaction with the performers, a front row bean bag and cocktails experience whilst socialising with like-minded fans. 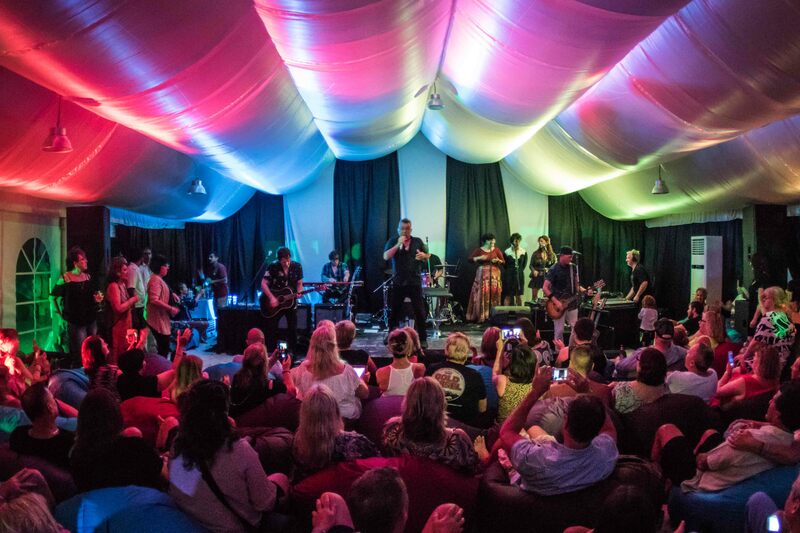 In 2015, Tex Perkins played 4 amazing shows, and in 2016 Pete Murray was our special guest at Kandooma. 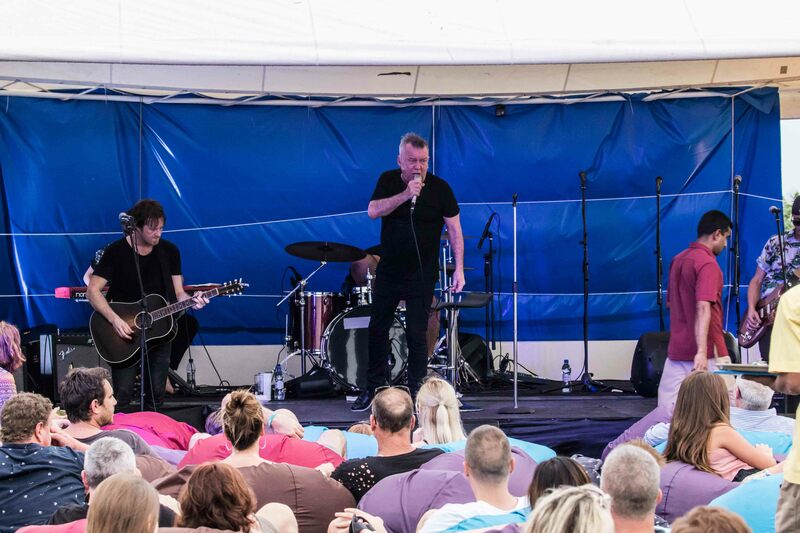 Just last, week Jimmy Barnes and his family and friends band performed three incredible gigs. Jimmy, Diesel and co raised the bar, In fact, at their second gig inside the marquee, they pretty much raised the roof. 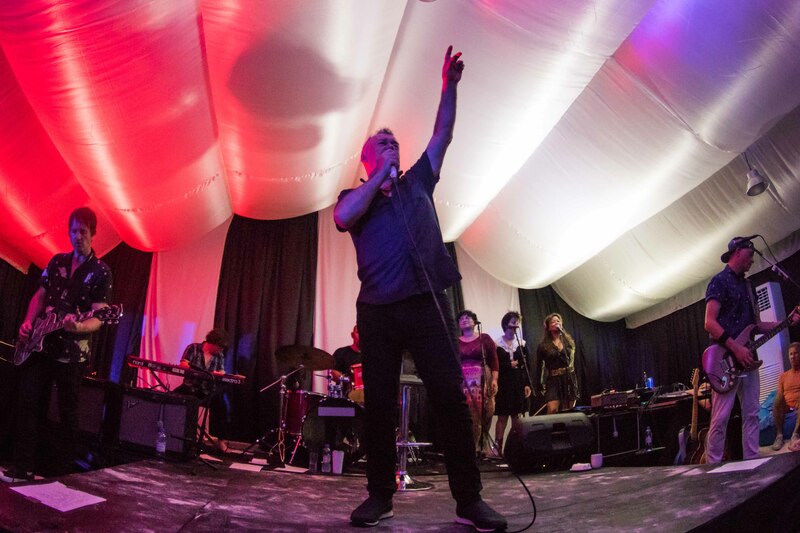 All 180 guests were up dancing and drinking well into the night. 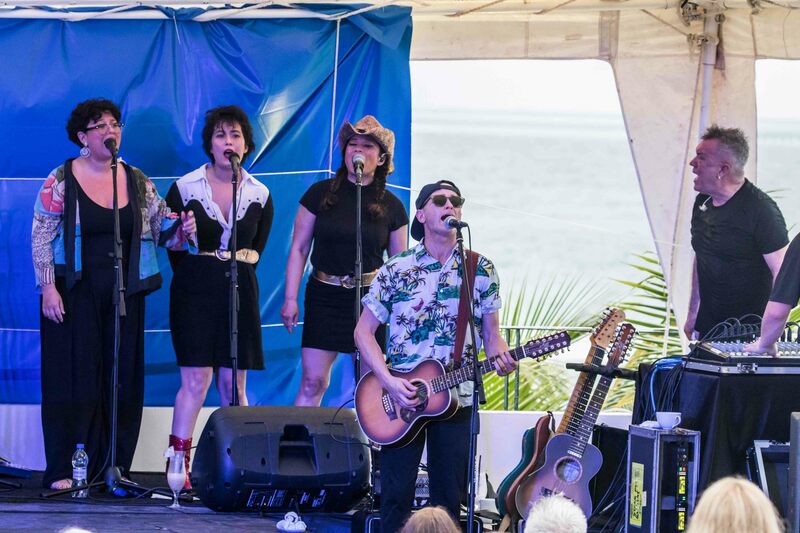 The first show at the Sunset Bar was groovy, whilst the third and final show at Surfers Point will go down in Surf Music in Paradise history as the best to date. We will have more comprehensive reviews in the coming weeks, along with the official video and galleries of Andy Potts’s best photos, but in the meantime, here’s a few photos of last week to whet your appetite. 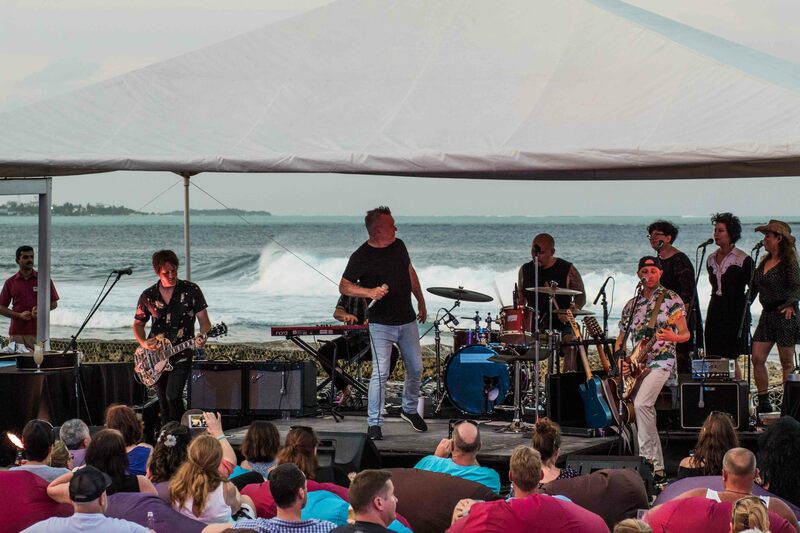 The great news is Jimmy announced at his final show that he will be back in September 2018, and Pete Murray announced just last month that he will be playing at Kandooma in June 2018, so there’s plenty to look forward too. 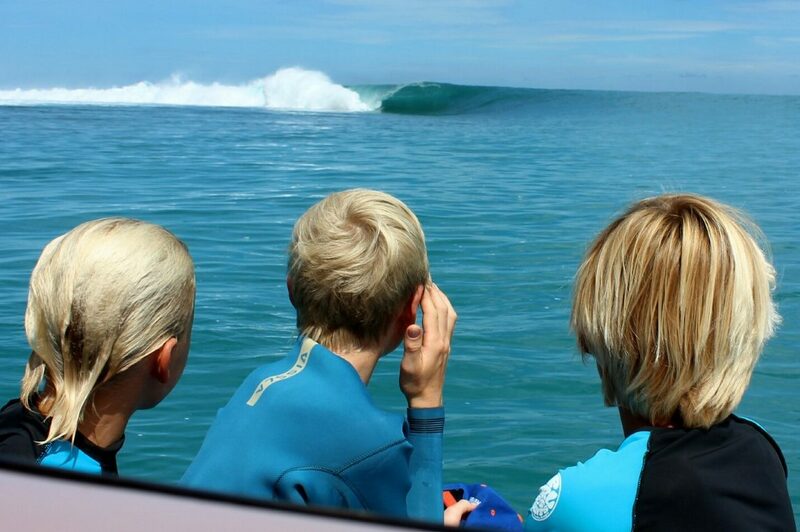 Click below to enquire/book the Pete Murray Surf Music In Paradise trip. 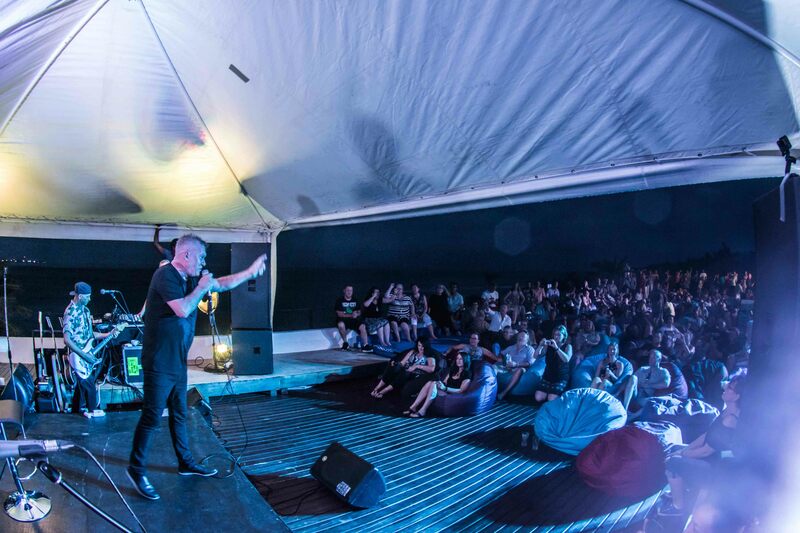 To register your interest for Jimmy’s shows next September, give your local The Perfect Wave office a call, or Enquire Online Here.